Hello and welcome aboard the August Zoe Blog Hop. You may have arrived here from my crafty friend and fellow Close To My Heart sister Jenny Gilbert - The Creative Heart, or you may have joined in from here! 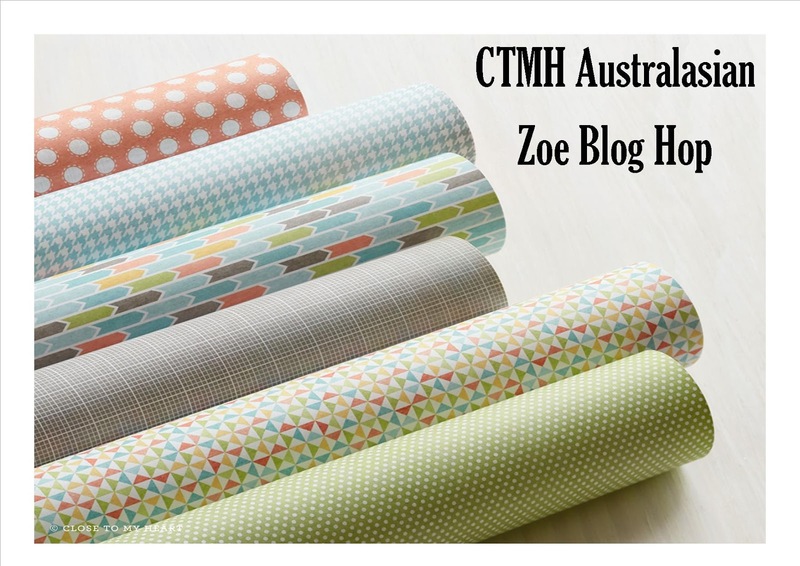 Once you have checked out the ideas below, just follow the link at the end and you will visit 10 fellow Zoe bloggers and land right back here where you began! Introducing Zoe - the new girl in town! You are so very welcome here! Zoe is the newly released My Reflections Workshop on the Go Scrapbooking Kit, Paper Pack, Complements & Assortments! 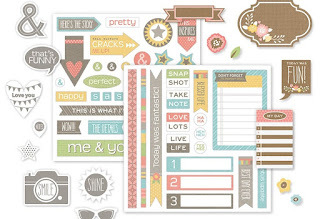 Workshops on the Go make my scrapbooking life so easy. 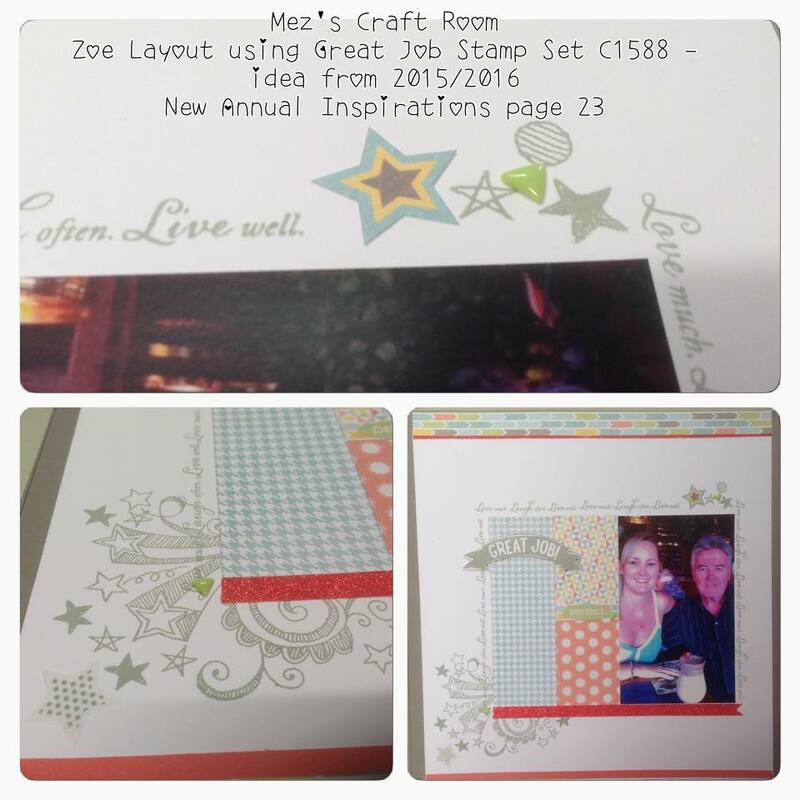 This double page layout was created using Zoe Workshop on the Go Scrapbooking kit, by using the included Instructions and the supplied embellishments! 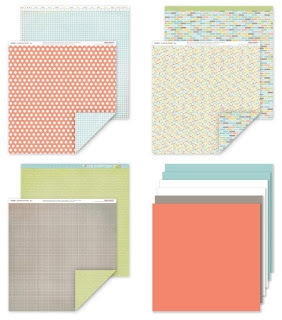 or schedule your very own Card Workshop with your fellow Crafting friends! Contact Mez for more information! 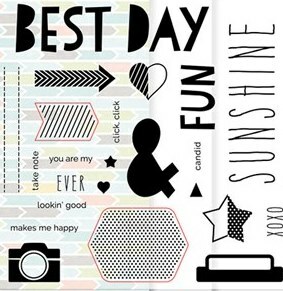 This is the D-size stamp set included in the Zoe Workshop on the Go. [If you have never used a Close To My Heart Workshop on the Go, [available as Scrapbooking or Cardmaking kits] here's some information for you. 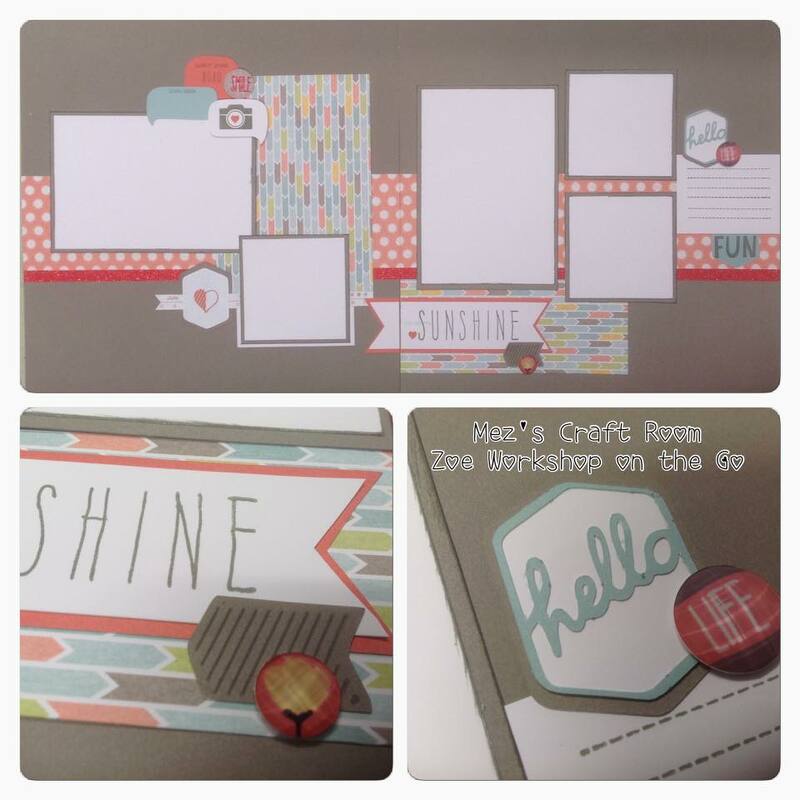 With Workshops on the Go, you create projects of your choice - scrapbooking or cardmaking - the choice is yours, using the contents of just one Workshop on the Go kit. 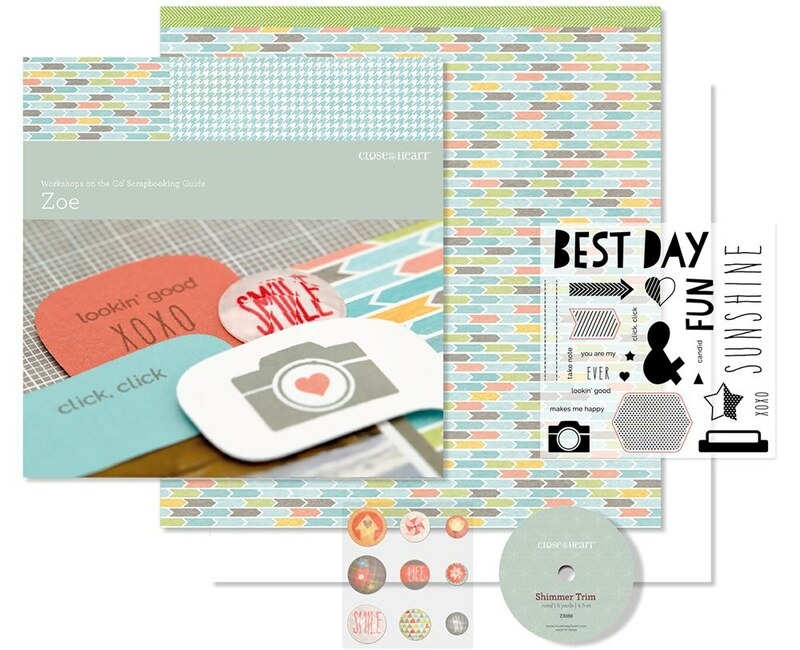 Included are B&T Duo Papers, Cardstock, Embellishments [usually 2] and a well planned Instruction guide, plus a D-size Stamp set. All you need are the basic tools you may already have! 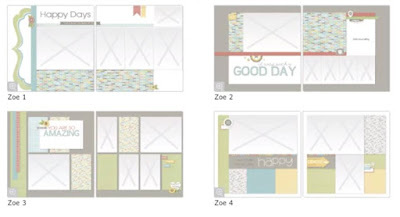 For the Digital Scrapbooker, Zoe has been released with 5 layouts, [4 shown here]. 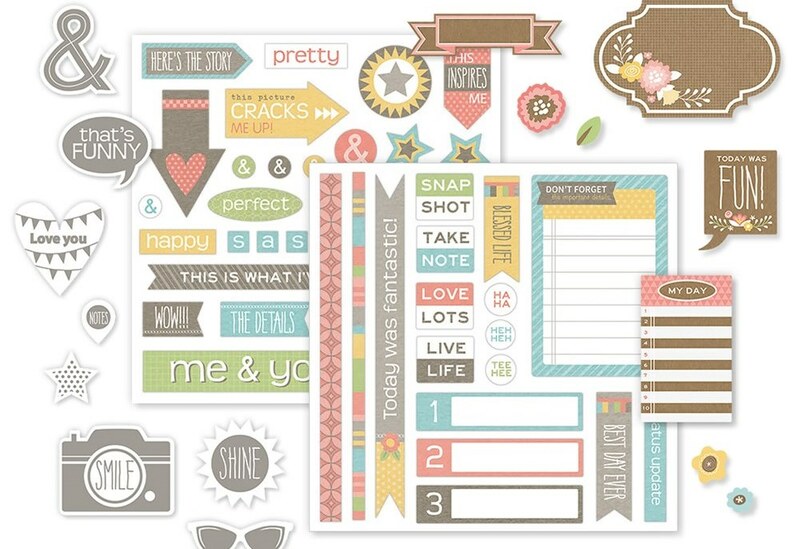 You have access to add more embellishments, photo frames and edits as you wish. 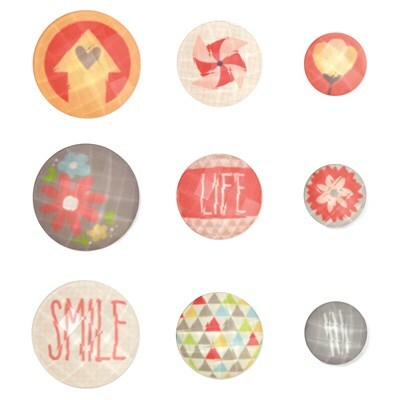 Just upload your photos, then drag and drop into the photo frames. You have as many double page layouts as you like! "Best Day" is one of many sentiment on the Stamp Set included in Zoe Workshop on the Go Scrapbooking Kit. I wish you a ray of Sunshine and the very Best Day as you visit my online Shop to check out all the new items available right now. Hope you have enjoyed Zoe Scrapbooking and Card ideas showcased in this Zoe Blog Hop and thank you for stopping by! Your comments would be greatly appreciated, please leave a comment before heading off to the next stop. Wishing you a wonderful onward journey - August Zoe Blog Hop - as you soak up the wonderful creative ideas, using Zoe! 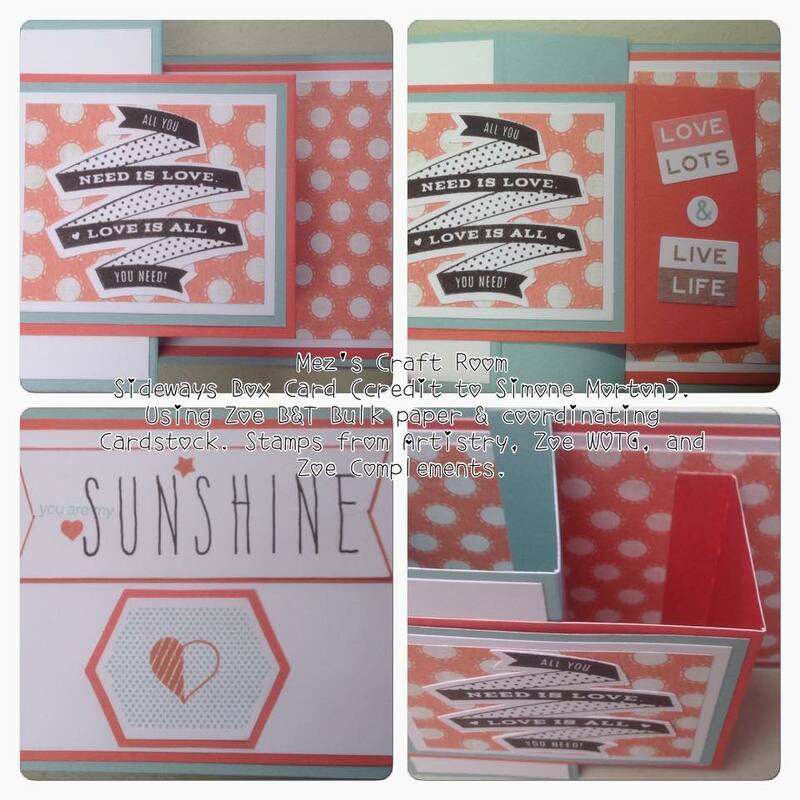 Let me introduce you to another crafty Close To My Heart sister Jo Armstrong - Jo's Close to My Heart Craftroom. Enjoy! Contact Mez to schedule your event or for more information!